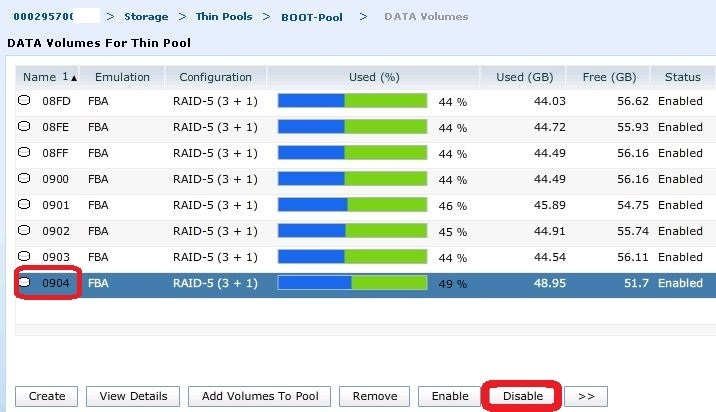 Draining of a Data Device (TDAT) from a VMAX Thin Pool is a non-disruptive activity, meaning TDAT’s can be removed from a Thin Pool without the need to unbind any TDEV’s with allocated extent’s residing on the TDAT. There may be many reasons why you wish to perform such an action, in my case it was to re-allocate the TDAT’s to another Pool helping to reuse space in order to improve efficiency. 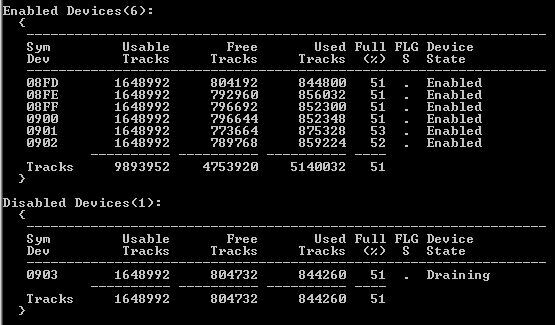 Another example is where you may wish to replace a drive(s) with a newer model (higher capacity required) and you need to move off any Production data that resides on the existing drives in preparation for the replace operation. 1. Disabling the TDAT effectively initiates Draining on the device. Once the TDAT gets disabled within the Pool, used tracks on the device get moved to the remaining enabled devices in the Pool non-disruptively. 2. On completion of the Draining process the TDAT device enters a disabled state. 3. Once in a disbaled state the TDAT can be removed from the Thin Pool. Once the data volume completes the Drain process and displays an Inactive state then it is safe to hit Remove. Thanks for the really nice explanation for moving the TDATs to a different Pool. Related to this I have another Question? We got some loaner FC disks for few months to accommodate some application. NOw since we have purchased some more disk and needs to return back these loaner disks to EMC. We are wondering how should be accomplish this task? Since the TDATs sitting on those Loaner drives are part of a Pool. We are thinking of doing the vLUN migration to a new pool. But if the method you explained above, does it work for draining the TDATs to another TDATs in a different Pool?